Cinnamon rolls are delicious! No secrets there! In the autumn and winter cinnamon rolls are great to have on hand in the freezer for whenever! It is a nice treat to serve on a chilly morning with a mug of tea or hot chocolate. 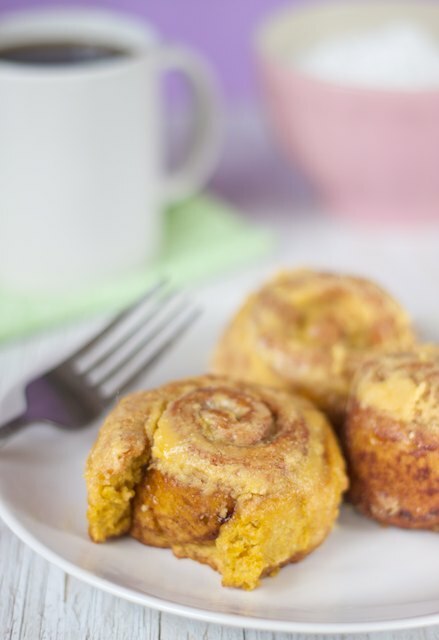 These gluten free dairy free Pumpkin Cinnamon Rolls are a twist on that tradition. The pumpkin in the dough really helps keep the rolls moist and fresh, which can sometimes be a problem with gluten free baking. Preheat your oven to 350ºF. Liberally grease 2 8 inch round pans. Set aside. Put yeast in warm coconut milk and sugar. Set aside until foamy. Stir in olive oil, vanilla extract and first amount of pumpkin puree. In bowl of your mixer, mix together brown rice flour, sorghum flour, tapioca flour, corn starch, baking powder, xanthan gum, baking soda, and salt. Gradually combine yeast mixture into dry ingredients until a very sticky elastic dough is formed, scraping down sides as necessary. Turn dough ball out onto a piece of lightly oiled plastic wrap that has been taped to your countertop. With well oiled hands pat dough out into a rectangle. Use the oiled plastic wrap to help roll the dough. Mix together the brown sugar and cinnamon in a small bowl. Gently spread the first amount of softened vegan butter in an even layer on top of dough, and then sprinkle with cinnamon and brown sugar mixture. Using the plastic wrap to help, carefully roll the dough. Slice the rolls and carefully place them into the 8 inch greased round pans, leaving about an inch between each roll. Cover loosely with lightly oiled plastic wrap and let rest in a warm place for about 45 min. Use clean thread or dental floss (yes dental floss) to cut cinnamon rolls. Slide the floss under rolled dough, cross the floss over the dough and pull, making the cut. To make pumpkin icing, cream together the pumpkin puree and second measurement of vegan butter. Slowly incorporate powdered sugar until icing becomes stiff and spreadable, using more or less depending on your preference. When rolls have risen, bake for 30 minutes in a preheated 350ºF degree oven. Cool. Place cooled rolls into gallon sized freezer bag(s). Remove as much air as possible. Label and freeze. To serve: Thaw. Heat through slightly, as desired. 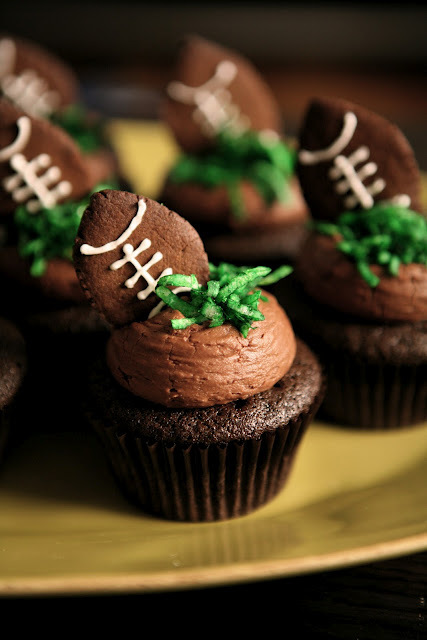 These are perfect for your hungry Super Bowl crowd! These game day cakes are made up of a simple chocolate cupcake with chocolate frosting and gingerbread cookie footballs on top! Preheat oven to 350. Mix everything together in a large bowl on medium-high speed until you get a thin batter. Line cupcake tin with 24 paper liners. Pour the batter into each liner, filling it 3/4 full. Bake at 350 for 20 minutes or until a toothpick inserted into the cupcake comes out clean. 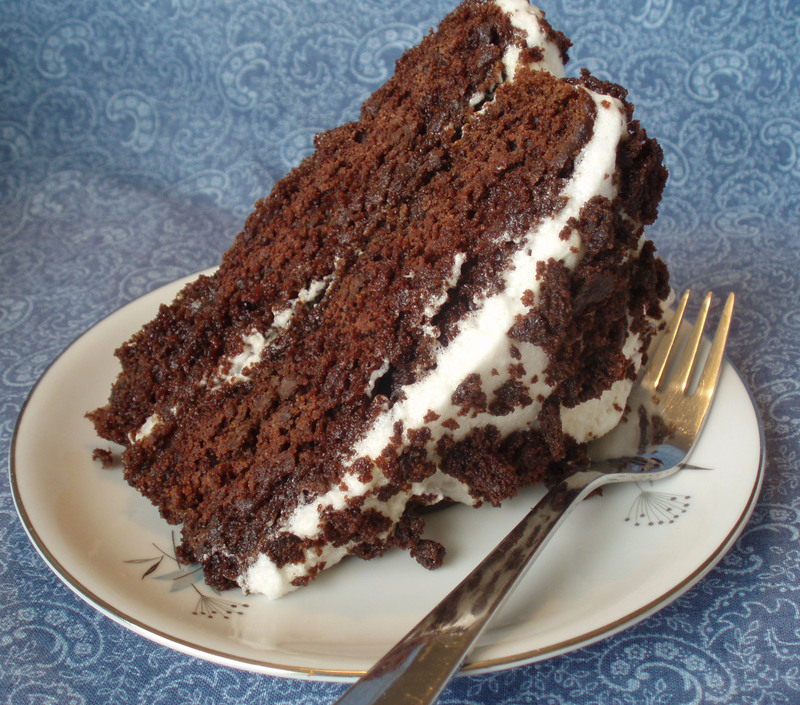 Mix softened butter and cocoa powder together until it has becomes a thick brown paste. Add the powdered sugar, vanilla, and milk to the butter mixture and beat until all ingredients are incorporated and smooth. Add more milk if the frosting is too thick. The frosting should be creamy enough so that it can be piped out easily onto the cupcakes. Pipe about 3 tablespoons worth of frosting onto each cupcake. Set aside. In a large bowl, cream together the vegan butter and sugar until smooth. Stir in molasses and egg yolk. Combine the gf flour, salt, baking powder, baking soda, cinnamon, cloves, ginger, and nutmeg; blend into the molasses mixture until smooth. Cover and chill for at least one hour. Preheat the oven to 350 degrees. On a lightly floured surface, roll the dough out to a 1/4″ thickness. Cut into 1-2 inch football shapes. (All you need is 24 football shaped cookies, you can use the rest of the dough for whatever you’d like- or freeze the dough and reuse for a later date).Place the cookies 2 inches apart on ungreased cookie sheets. Bake for 8-10 minutes at 350, until firm. Remove from cookie sheets and cool on wire racks. Use your favorite royal icing recipe and pipe laces across your gingerbread football cookies. Color some shredded coconut with green food coloring for “grass”. Top each Football Themed Cupcake with some “grass” and a Gingerbread Football Cookie. Present them at half-time and TOUCHDOWN YOU!